At earlier time Bulldogs were not as it was now. They were taller and was fierce in their nature. They were completely developed in England.The first breed was set in at about 1500. 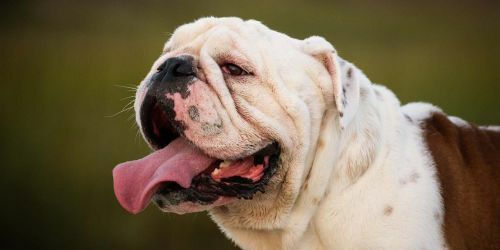 After that they were involved in a game called Bull baiting in England, where a fight was set in between a Bull and the Bulldog. 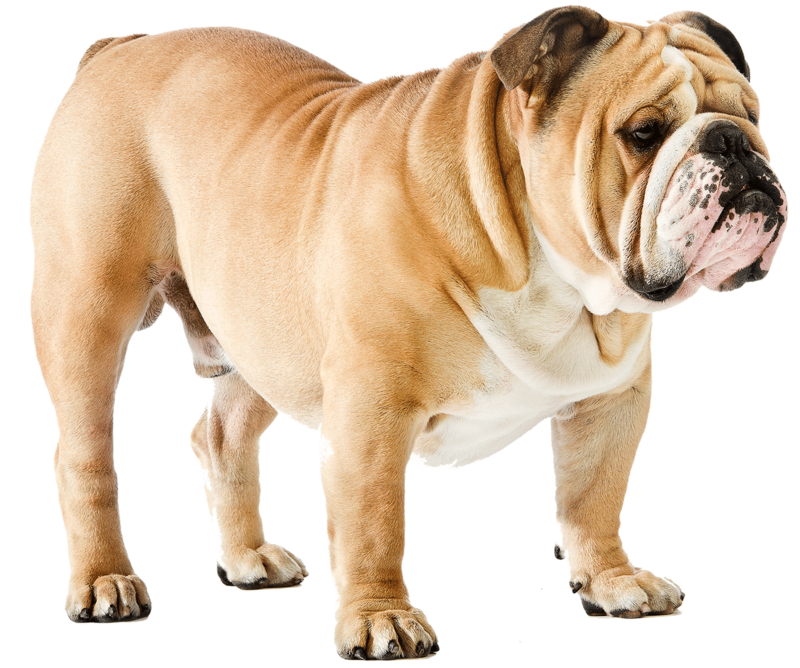 Bulldogs will be on full fierce by biting and holding the bull even when they jump or struggle, until they fall on the ground. After that Bull baiting was banned in England, and everyone thought Bulldog will disappear. But some breeders re engineered it and made it as it was now. In 1950s Bulldogs ranked among top 10 in America. Bulldogs are muscular in nature. They easily gain over weight and so exercising them is very mandatory. They are well suitable for apartment living, since they will always like to lie down and sleep. They will woke up only for their food. But they are very much faithful for their owners and it will be seen very loving when they come near and look at you. Since they face respiratory problems they should not be compelled to play for very long time. Their look may be ferocious but they are very calm and loving towards others unless you do any harm to them or their owners. 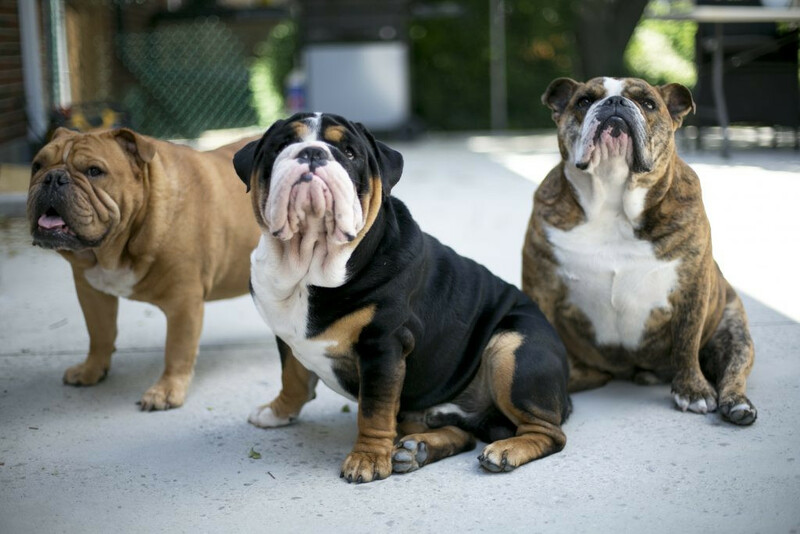 They have chances of getting problems due to brachycephalic syndrome, this is because of their short face. Also they suffer from respiratory problems. Bone and joint problems are also common in them. 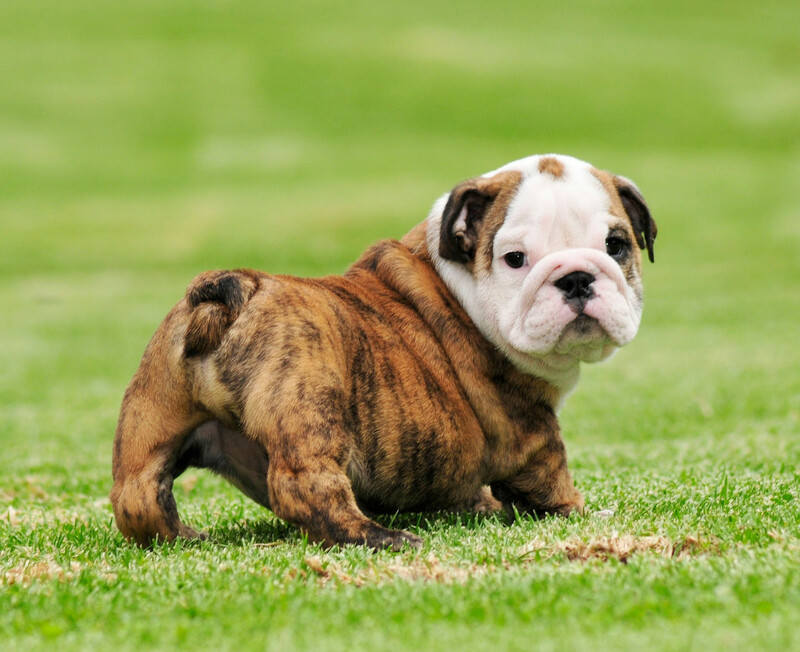 Bulldog has chances of getting skin problems and hair fall is the initial for those skin problems. Normally they shed hair upto a considerable level. The puppy needs more energy and nutrients for its growth, so they must be fed several times a day but the amount should be less. They should not be given raw meat and foods that may be gone bad. The food given to puppy should be allowed to eat for only 20 minutes. After that time if balance food remains in bowl they should be removed and for the next meal new food should be given. The puppy shall be given cooked food which we eat and it is preferable to give cooked meat and bones three times a week. Salt should be added less for them and sugar should not be given. 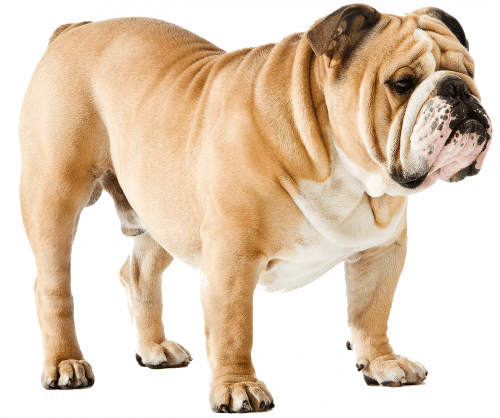 The bulldog can be fed 1 to 2 times per day, that is morning and evening. It is not recommended to give them soybean oil, chocolates and onions. Kibbles can also be given to them. Nutritional food is the main factor for their health and the vaccinations should be made at the right time with consulting the veterinarian. 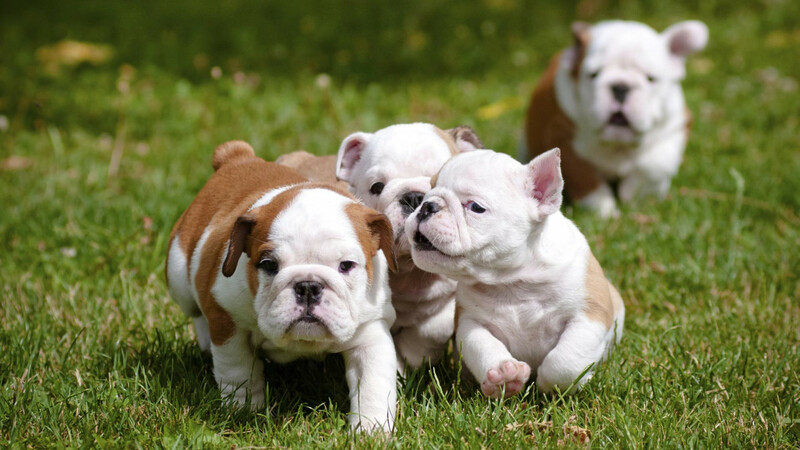 Bulldogs may have less energy, but they love to play. They can be made to chase after a ball or Frisbee. But short chasing will be good for them. They should not be made to play in hot sun as they suffer with some heat problems. Also they are interested in playing Tug of war, Hide and seek and solving puzzles. They are good companion for children, but it is recommended to have an adult supervision and not allowing them alone. They are the best companion dogs. They take decisions after thinking for a while. They are very faithful for their owners, and if anybody does harm to their owners infront of them, then they will show their full energy and teach a lesson to them. They adapt well for apartment living. They can be leaved alone in home for some hours but they love to stay with anyone in the house. They love to live in moderate weather, both hot and cold weather will bring problems to them. Bulldog will not do all things you order them, as they think well and take their decision well. They think what will they get by doing what you say, and then only they will do it.